Pulmonary arterial hypertension (PAH) is a rare, life-threatening disease in which the blood vessels in the lungs thicken, making it difficult for blood to flow through the lungs. PAH makes it challenging for patients to obtain enough oxygen and ultimately exhausts the heart. PAH is treatable, though not currently curable. But it is difficult — and expensive — to manage. The cost of treating PAH can average between $100,000 and $200,000 a year, and roughly 40 percent of that is for medications, according to one recent study.https://www.ahip.org/wp-content/uploads/2016/04/HighPriceDrugsReport.pdf.https://www.ncbi.nlm.nih.gov/pmc/articles/PMC4301626/. 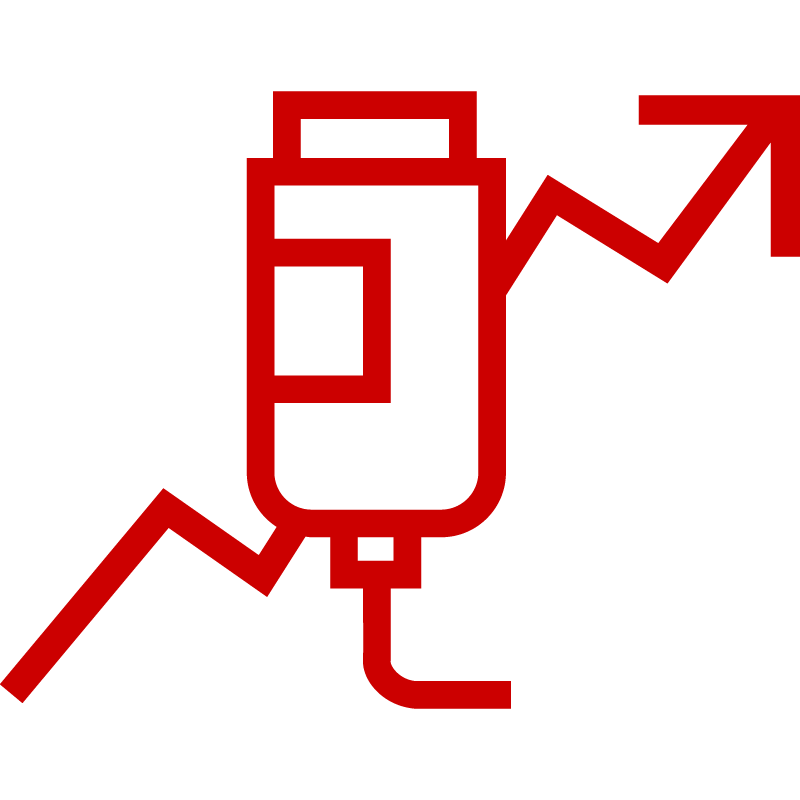 Several PAH-specific drugs rank among the world’s costliest medications. Drugs like these require careful management. CVS Caremark has a range of solutions to help payors manage cost, including the Advanced Control Specialty Formulary and utilization management strategies that help ensure the right patient gets the right drug at the right time. We also closely monitor the drug pipeline to help payors make informed decisions about coverage for upcoming new drugs, and stay ahead of changes in the marketplace. To help ensure the longest survival and best possible quality of life, plan members need holistic care and comprehensive management at the therapy level. The core of our model for managing care for members with PAH is our extensive clinical expertise and whole patient care. PAH severely limits physical activity, and even with treatment it can progress, necessitating careful observation of patients and adjustments of dosages or drugs. Many PAH medications, especially those typically used in the disease’s late stages, can be difficult to administer, with potentially severe side effects. Any abrupt interruption of therapy can also cause symptoms to grow much worse. To help ensure the longest survival rate possible with the best possible quality of life — and avoid the cost of unnecessary emergency department visits and hospital admissions for payors — members need holistic care and comprehensive management at the therapy level. At CVS Specialty, we take a proactive approach. We don’t wait for members to call for help. Instead, we reach out to members with PAH on a regular basis. We provide holistic care — including for members on prescriptions that do not require specialty pharmacy services — through our dedicated PAH CareTeam, and unique services like Specialty Connect and digital tools. Our focus is educating and counseling members and collaborating with prescribing physicians. This helps members minimize symptoms, manage comorbidities, increase functional capacity, and thus improve outcomes — while helping lower overall cost of treatment. Our clinical and personal support begins when their physician sends a prescription to CVS Specialty or one of the CVS Pharmacy locations. Members receive support from a dedicated CareTeam consisting of a pharmacist, nurses (drawn from our team of more than 100 PAH nurses nationwide), patient service representatives, and intake coordinators. The CareTeam offers members 24/7 access to counseling and clinical support, and works with the prescribing physician to develop a customized care plan and an anticipated timeline for reaching treatment goals. Once the prescription is ready, our integrated model also makes it easy for members to receive their specialty drugs. With Specialty Connect, members can choose to pick up their medications at a CVS Pharmacy location or have them delivered to their home or office*, all while still receiving support from our trained clinicians. The goal is to create a more convenient, more flexible, and less complicated experience, leading to improved adherence and improved clinical outcomes. We help address adherence challenges, such as side effects, safety monitoring, and potential drug interactions. Clinicians review risk factors to help ensure members are receiving optimal treatments and have appropriate drug supplies, support adherence, and mitigate clinical worsening and unexpected emergency care. Members receive help and advice on issues such as cost and transportation concerns. The PAH CareTeam can engage resource specialists including the CVS Health PAH patient advocate for assistance, when needed. Trained clinicians help members learn to effectively manage myriad symptoms including shortness of breath, chest pain, and activity limitations, as well as medication side effects. We monitor members for their functional capacity, weight, symptoms, shortness of breath, and the emergence of new symptoms. When a gap in care or an elevated risk of disease progression is identified, we conduct outreach to the physician for intervention. Physician interventions include dose adjustments, the addition of an additional medication from another class, or a follow-up visit. Ongoing communication with the physician and our pharmacy staff allows us to help ensure timely responses to worsening PAH symptoms. 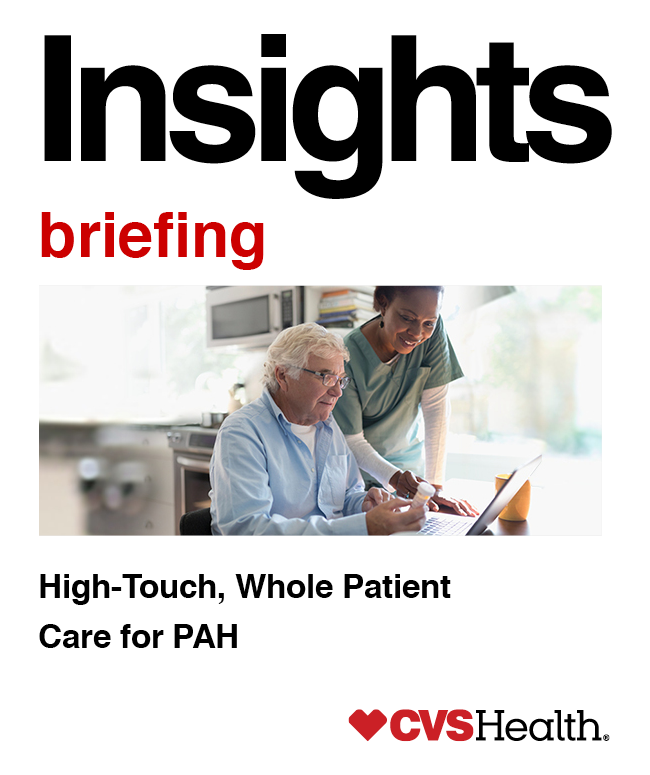 To measure the impact of the CareTeam approach, CVS Health studied selected PAH patients to determine how their condition changed after clinical intervention. Additionally, the pharmacy team worked with prescribing physicians for 22 patients who required drug and dosage adjustments. From therapy initiation to ongoing care, we offer members with PAH support from specialized PAH clinicians to help ensure this unique patient population receives comprehensive care that maximizes functioning and quality of life, while identifying interventions to help manage treatment costs and improve outcomes. Our pharmacy care model — the hallmark of CVS Specialty — can help manage a rare and complex condition like PAH by providing holistic patient care. *Where allowed by law. In-store pick up is currently not available in Oklahoma. Puerto Rico requires first-fill prescriptions to be transmitted directly to the dispensing specialty pharmacy. Products are dispensed by CVS Specialty and certain services are only accessed by calling CVS Specialty directly. Certain specialty medication may not qualify. Services are also available at Long’s Drugs locations.